Yes I know they’re are similar threads but I’m looking for a little more of a specific response. So I’ve come to realize over the years that there is nothing like the practicality, space and coolness of a Vanagon. That being said, I have owned many four wheel drive trucks and even currently own a Mitsubishi Delica (pleeease no hate) and use the 4x4 a lot, and like I said the size and functionality of the Vanagon is one of a kind which brings me to wanting a syncro very badly. And now just having learned that they are not actually “four wheel drive” but rather all wheel drive and some coming with rear lockers I’m kind of at a standstill on what I think. Now upon reading about the awd system that the syncro has and it’s off road usability, all I have been seeing is something along the lines of: “if you did it without a rear locker then you could have done it with a two wheel drive”. I have had many off road experiences in which there was absolutely no way I could have done anything in two wheel drive, I simply needed to drop to 4x4. So to get to my question, it seems like traditional 4x4 is ranked about the same to a syncro with dif locks and then a stock awd syncro is ranked a tier down. How is the stock awd compared to just the regular 2 wheel drive? 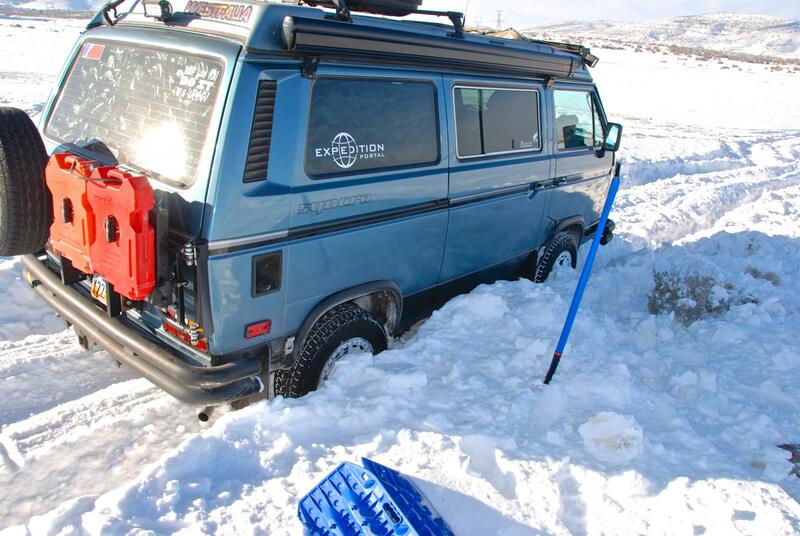 Is it better to just find a 2wd Vanagon as opposed to a non locking syncro? Even a locked 2wd isn't as good as a vanilla non locked syncro. All vanagons suffer in the articulation department that is why the lockers are desireable in syncros if the tires start going into the air. My Syncro came as a non-locker AWD. When converting my Syncro to front and rear lockers, decoupler, I looked into a solid shaft and removing the VC to have a true 4WD vehicle. Since I do drive during the winter, here in Utah, I was told not to loose the AWD capability that the VC gives you. I am glad I did not go solid shaft. I can tell you from experience, pulling the center knob and coupling the front end is a day and night difference for the vehicle in any conditions. Even having the rear locked the van does not perform anywhere near what it does when the front end is engaged. If someone is telling you their 2WD with a locker or Peloquin ATB (automatic torque biasing) performs as well as a non-locker Syncro, well let's just say they need to own both before making that statement. A locked or ATB 2WD is much better than a "one" wheel drive and pulling the park brake. My van has a SPORT VC installed and is very good on ice and snow packed roads. Just last weekend I showed my wife exactly what a difference the AWD system makes in snow. Wow, can't believe we are at this point already! I've gotta get our winter tires on soon - snow here Thursday. Positively one of the silliest things ever said, no one with Syncro offroad driving experience could ever come to that conclusion. Just as an aside, Ron, do you understand that with an open diff, both output shafts receive exactly the same torque no matter what? The weakness of an open diff is, rather, that the maximum torque both axles receive is limited by the wheel with the least traction. Right now, 3PM, at my house (Nova Scotia, Canada) it is 16C (60F) and sunny. And I just mowed the lawn. I would say to the OP that the comparison of a fully locked Syncro vs a traditional 4X4 vehicle in offroad conditions would be valid. The 4X4 would be superior in some conditions due to likely better ground clearance, likely greater travel, likely ability to have larger tires, and having a low range. Sticking with the same comparo, the Syncro would be superior where fully locked traction is a larger issue. So, a rough equality with wiggles based on trail conditions. 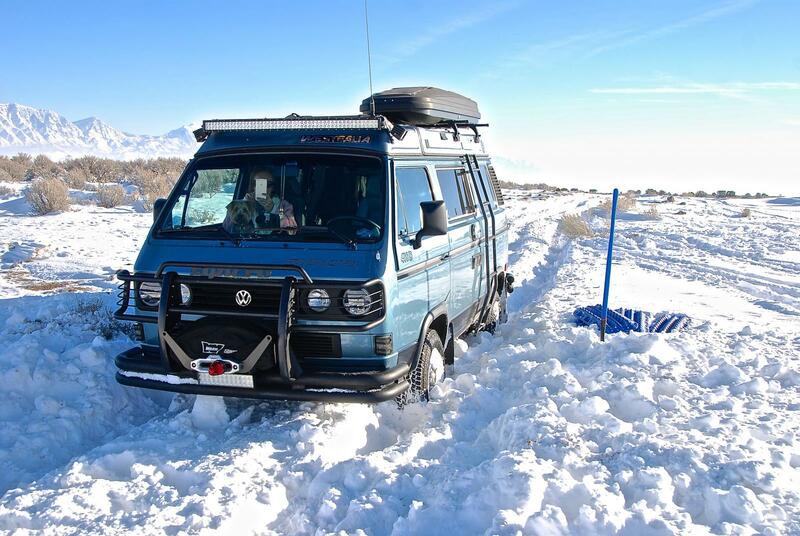 But the 2WD Vanagon vs base unlocked Syncro I agree with others that the Syncro is significantly superior due to greater ground clearance, underbody protection, and the powered front axles. Modifying a 2WD closes the gap only incrementally and of course if modifications are allowed, the Syncro would benefit from the same modifications. 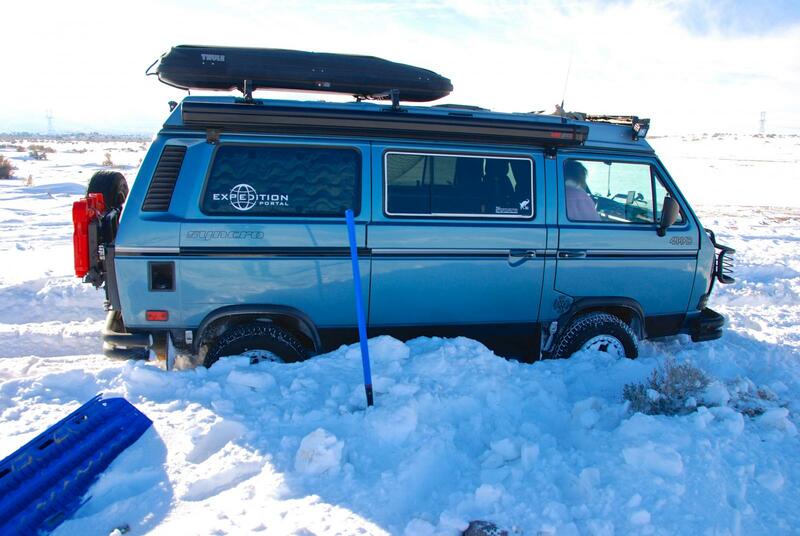 I still don't understand how the VC is superior to a van coupled in 4WD, specifically in the snow. I've driven my van coupled and in 4WD full time around town and on the highway and it did great. Is there a downside to this? you mean VC vs. solid shaft? Yes, sorry I missed that part in my comment . Solid shaft vs VC, thanks. Driving on slick, icy, snowy roads, you want AWD and not 4WD. True 4WD means that all (4)four wheels are turning at the same rotational speeds. That means the inside wheels, on a turn, are now already spinning and have lost traction. Not what you want. That is why if you plan to drive your Syncro on the highway, you want a VC. From what I have seen, my Sport VC has almost zero lag time when it feels the rear end slip. I do not want to get into a debate on really how the VC works. It is connected 100% all of the time, just not very much at first. Unless you have a decoupler the front and rear diffs are always connected. The Viscous Coupler always has the front and rear diff connected, but slips, then when it slips it instantaneously connects even more until all of the torque can be sent to the front end if the rear wheels have no traction. Does that make sense? I have been in this debate before so I made this video. It is always connected but slips until there is a large disparity between the front and rear differentials, then it locks up even tighter. Yes, if all you want is true 4WD then you need a solid shaft and remove the VC and have front and rear lockers. As you can see in the video. Spinning any wheel on the van, all four wheels will spin. If have the front end on the ground, then the rears will rotate but you will feel the friction of the VC and it makes the rear wheels difficult to almost impossible to turn by hand. Mind you this is a Sport VC. My stock VC got too aggressive and would not pass the VC 2x4 test. I want some give while on icy roads and on the slick rock in Utah. Yup I understand. I was just pointing out that if you use the hand brake you can trick the open diff into sending torque to the wheel with some traction. Sometimes it works, sometimes it doesn't. Let's disregard he true 4WD idea, meaning front and rear lockers engaged. I understand that it is back to drive around with every tire turning the same rotational speed. But what about coupled solid shaft vs VC? Coupled solid shaft so all four tires getting power all the time, as opposed to VC when tires get power when slippage occurs. Why is VC considered better in snow between these two drive options?